Slack is a fast growing communication tool many are utilizing as an email replacement in Silicon Valley. 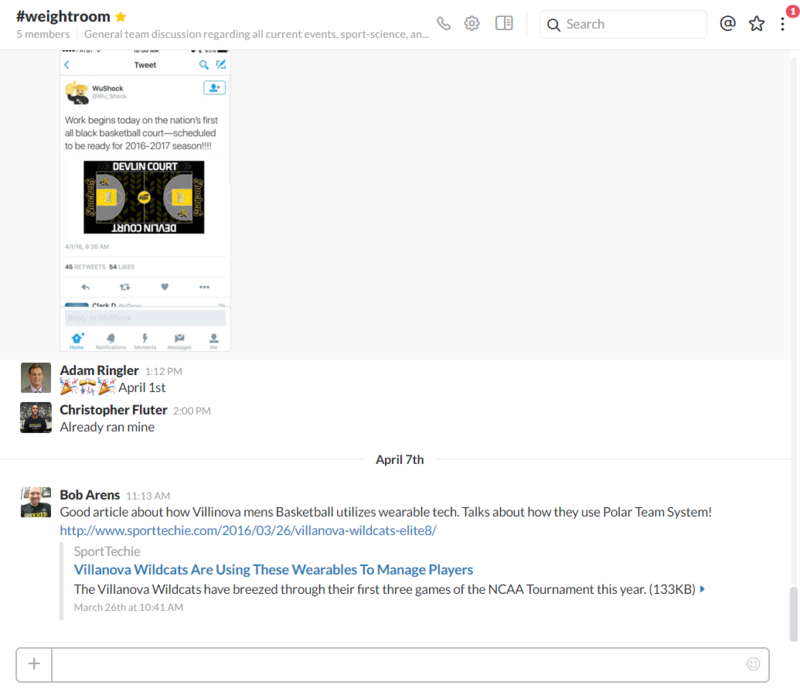 Slack has enabled our distributed team of performance coaches to be constantly informed and available. 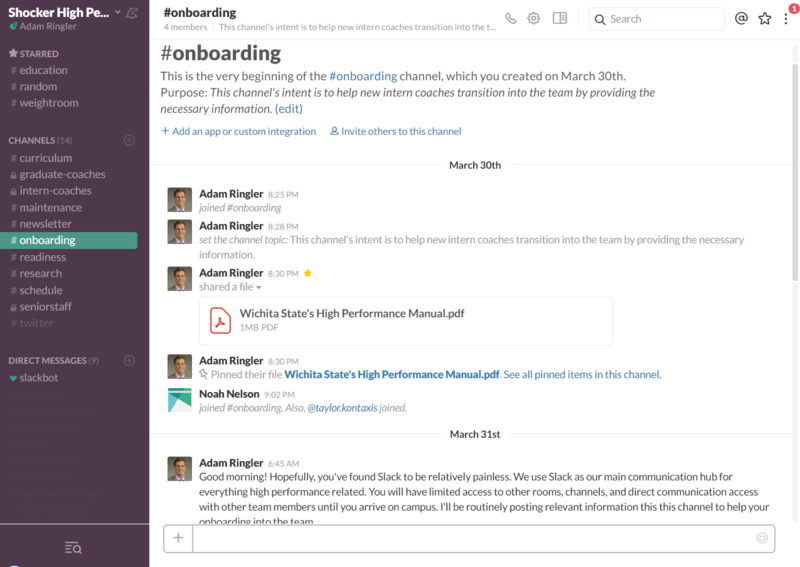 The use of Slack within our performance team has been an incredibly valuable of a tool for our team and this article will explain how we utilize this tool with great efficiency for better day-to-day communication and operations. If your like many of us working in a multi-disciplinary position (most of us in the S&C performance coaching profession) the reality is that email is and will be a mainstay in the modern world we live in. The majority of us are use to receiving anywhere from 25-50 emails a day. The more robust you grow your performance staff, the more integrated you become with your sport and medical teams, the more communication is necessary, and the number of emails you will receive daily will rise. We can, however, drastically reduce the number of emails we both send and receive with better technology. This is where Slack enters the picture. Slack is an communication tool that acts much like irc with different rooms or channels that your team members can join and communicate within. 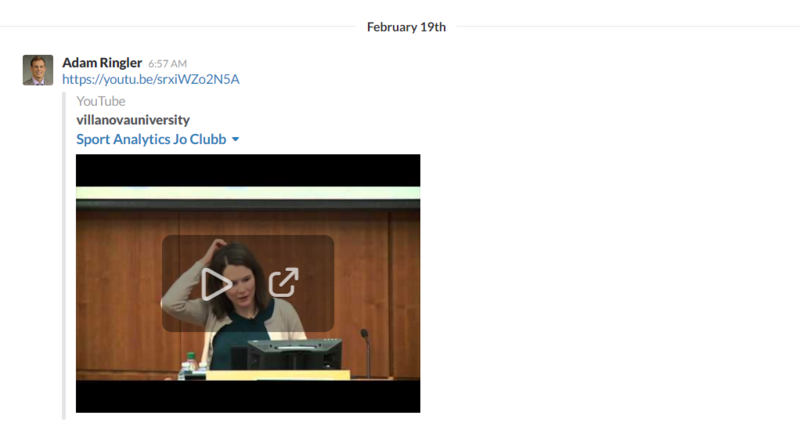 This allows for topic-specific discussion in a number of different channels. Slack does allow for 1-on-1 communication via a direct messages system but we have made it our departmental strategy to avoid direct communication unless absolutely necessary. The transparency of team-wide communicate has been an instrumental part of developing an agile and informed team of professionals that can implement high-level strategies and concepts in the event of a coaching scheduling conflict or changing dynamics of coaching. One of our main strategies is ensuring that our correspondence with each other is widely available and transparent. We have done this in a number of different ways. On the left-side navigation bar, you will see a collection of different channels. Most of our channels are accessible to our entire staff, however, they may opt-out or mute certain channels that don't pertain to their daily responsibilities. Separating out areas of our daily operation into separate (but specific) channels allow for all of our communication to stay very topic-oriented and specific. We have separate channels for our continuing #education content i.e. our articles, videos, links, and etc. We have a #random channel that our intern staff loves to post internet memes and YouTube Celebrity videos to. Most importantly, we have a general #weightroom discussion channel that acts as our main communicate hub to all pertinent day-to-day operations. In this general channel, anything that affects our daily coaching is posted and can freely be addressed as a collective team. This channel acts a supplementary channel that helps build team rapport and camaraderie through constant communication. The more open we are as a team, the more we can trust each other to make great decisions and implement great ideas. One of biggest challenges running a department is the onboarding process of new staff members and interns. In efforts to help ease the transition, we have made a separate channel for all of our incoming interns. These (guest) accounts can only correspond with the people within this #onboarding channel and they only have limited access to this singular channel (and not the entire team-wide communications channels). This allows our incoming staff and interns to become acclimated with Slack and provided an opportunity ask pertinent questions relating to the internship or onboarding process. We've attached to the channel a number of our staff manuals so new staff members and interns can begin reading and understanding the dynamics of our organization - before they ever step foot on campus. One of the challenges of operating an educationally-rich internship program is there are often many times our #intern-staff# needs access to reading, writing, and educational videos materials that are typically only accessible in-house. 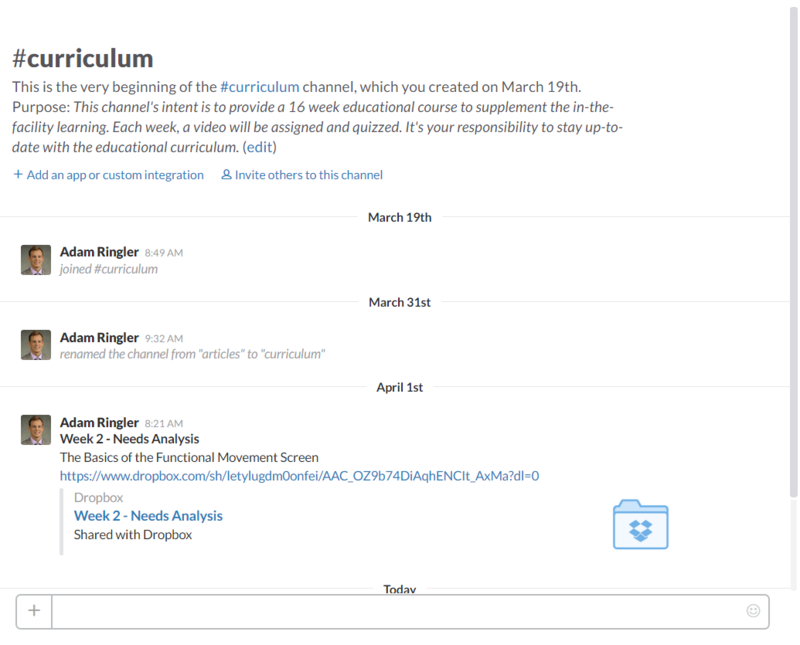 To combat this limitation and open accessibility of our educational information, we integrated Dropbox within our Slack team to offer a cloud-based means of distributed educational content. We've utilize a separate channel that acts as our primary hub for our 16 week #curriculum worth of strength and conditioning and high-performance training information. 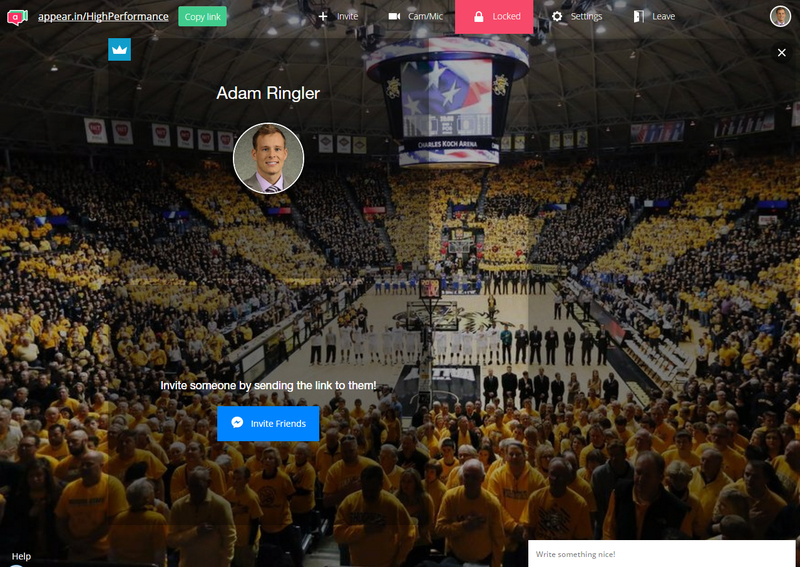 Rather than reinventing the wheel every semester with a new group of performance interns, we created a channel where we can add and remove team members and assign various videos to watch and articles to read. With the direct-integration of Dropbox, all of the videos are linked directly from the channel from our Dropbox account, allowing our team members direct viewing access to all of the in-house educational videos versus requiring their physical presence in-office watching the continuing-education videos. The beginning of a 24/7/365 distributed internship program. We integrated a number of automatic, machine-learning, AI-rich bots to help us deploy weekly questionnaires to inquire upon the weekly curriculum and record responses to ensure educational content is being watched and assimilated. These responses are collected on a weekly basis and allows for our performance team to better educate our performance interns. Another advantage of utilizing Slack within our performance team is the overwhelming reduction in the need of distributing telephone numbers for direct or conference communication. If there is ever an emergency and a team member needs to directly reach me, they can call me via the "Call" feature for voice-to-voice correspondence. With a number of different Slack integration, we've been able to conduct remote video conferences for distant learning opportunities. This allows me to host video conferencing while in attendance of other conferences and coaches clinic. With this feature, my staff can continue to learn via my own experiences at continuing educational opportunities. If you work within a collegiate strength and conditioning program, you already know that there is a tremendous amount of behind-the-scenes work necessary in order to keep the facility operational. 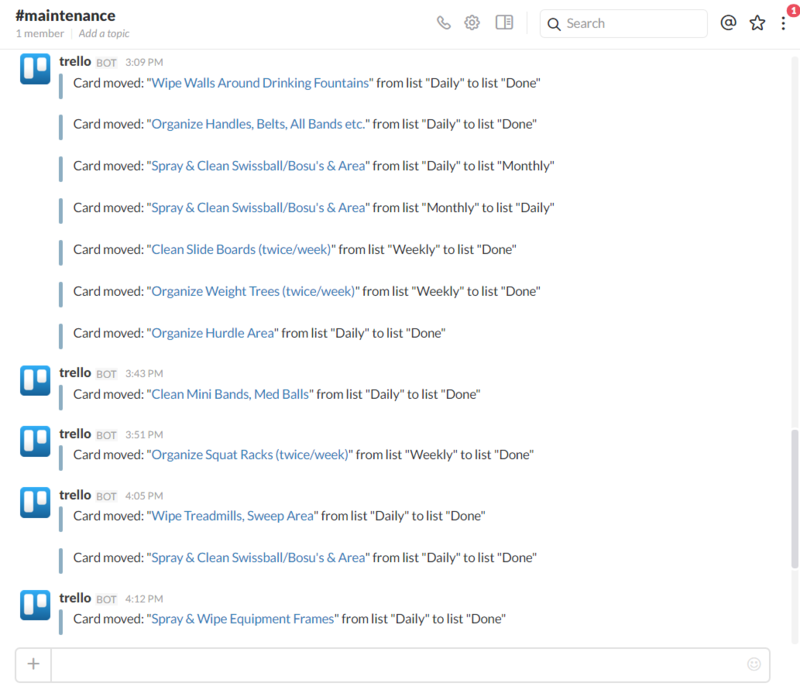 One of the many ways we fairy distribute those "working tasks" and record the efforts and duties being completed is through a Trello-Slack integration. Coach Ron McKeefery has been a long-time advocate for the use of Trello within his strength & conditioning program and I am no different. I champion its usability and features. It has been a valuable tool for the general organization of ideas, tasks, duties, and general athlete-management within our High Performance Department at Wichita State University. In a separate channel, #maintenance, we have integrated Trello to be synchronized and updated when tasks are completed within the weight room. We have a iPad permanently fixed in our weight room that has Trello loaded with our various day-to-day responsibilities. We utilize a bot in order to random distribute those tasks among staff and to deploy daily/weekly/monthly reminders and progress check-in's to ensure task-completion. The bane of my existence is having to consistently communicate the many scheduling changes that occur with my staff. 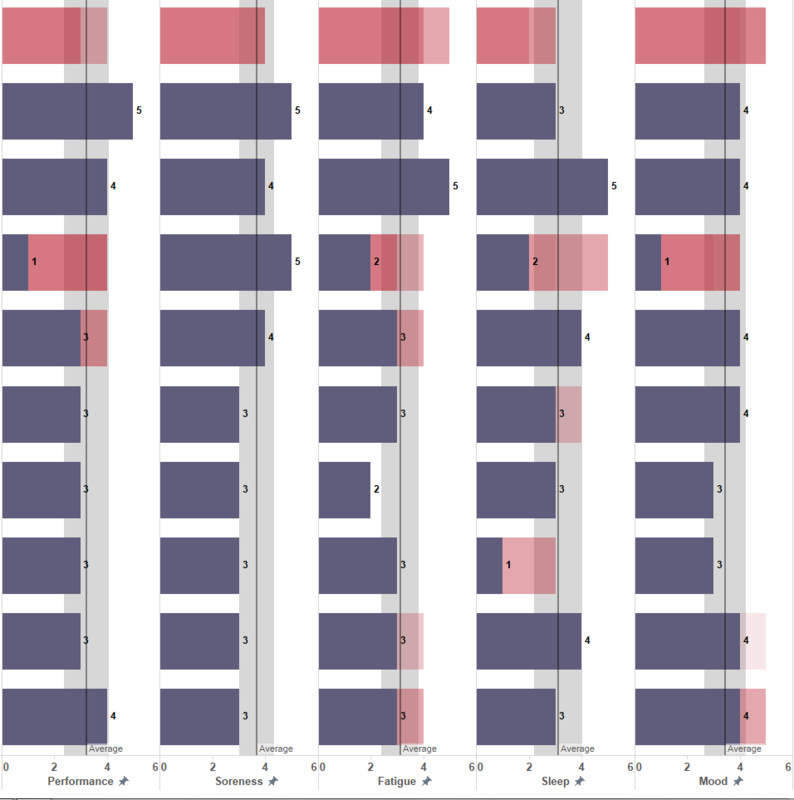 As many performance coaches already know, schedules can change immediately and quite often. 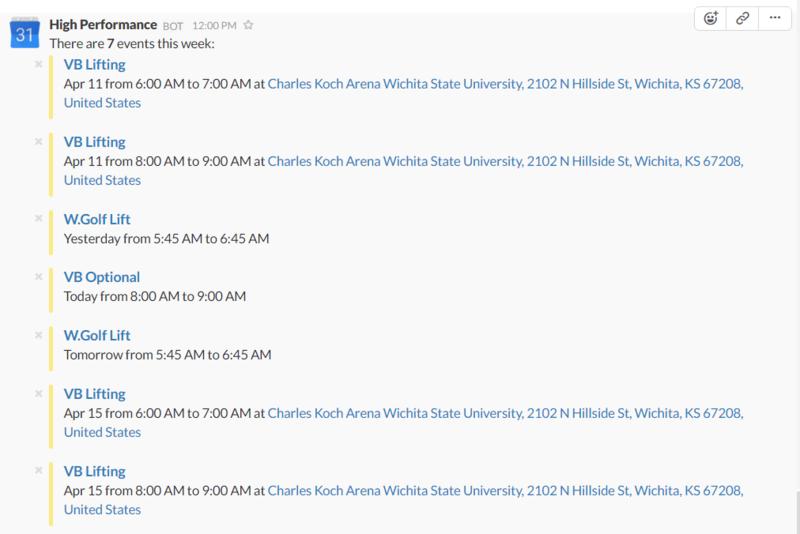 How do you best inform a remote and often volunteer-based performance staff of these scheduling changes? Google Calendar and Slack integration. Anytime I change anything in my Google calendar, it immediately updates and pings the #schedule channel via Slack. Rather than having to email, text, or call my staff to notify them of any scheduling changes, I can immediately notify everyone the moment I receive that information from a coach or Director of Operations and change it (on my end) via my Google Calendar. I also have the integration post a weekly Sunday afternoon agenda of all the various dates, times, and sessions for the upcoming week. This one calendar integration has made a tremendous impact on my ability to reduce emails to and from my staff. "What gets measured gets managed. - Peter Drucker"
We utilize a number of different bots to deploy and record questionnaire data for staff development. We deploy different bots and questionnaires for our internal staff, graduate assistants, and our intern staff. These questionnaires range from inquiring about their enjoyment within our program, career progression updates, and weekly educational curriculum quizzes. I am a believer in transparency and better understanding what my team's needs are. To grow into a better director, I need to deeply understand my team and their strengths versus weaknesses and their educationally rich opportunities versus what they consider a waste of time. As coaches, we speak so much of about athlete-monitoring and flexible-periodization yet we ignore staff-monitoring and flexible-management. We also have a private channel dedicated to our athlete monitoring and #readiness program. Our athletes are asked to fill out a daily deployable readiness questionnaire that upon completion automatically syncs and flags our readiness channel if their are identifiable lifestyle factors below/above their respective averages. This information allows us to make actionable changes based on the information gathered from these readiness questionnaires. 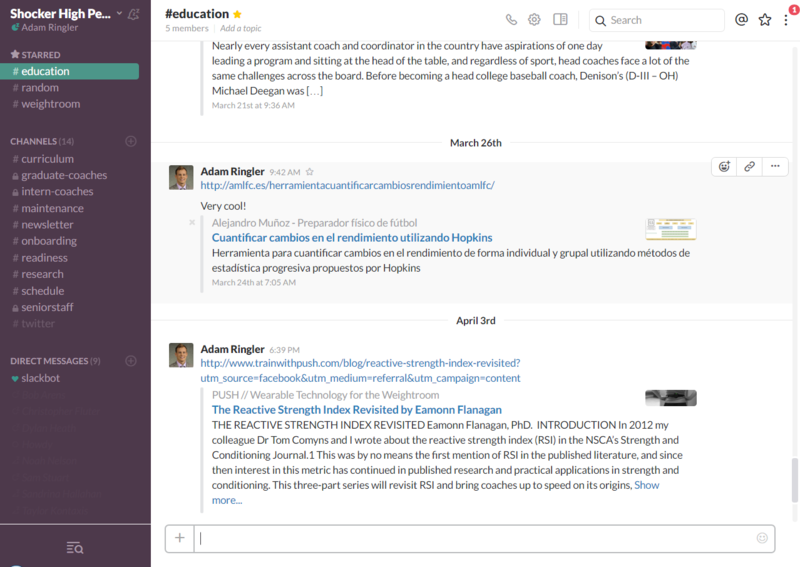 Having fully adopted Slack as our primary means of communication within our High Performance Team, I cannot imagine living without it. I'm a huge proponent of frequent and open communication and Slack has provided my team of coaches a way of exchanging in open and transparent dialogue for the betterment of our team members involved, the sport and athletes we serve, and the great university we work within.